The brief was to design an identity and environmental branding scheme for a new food destination within a shopping centre. 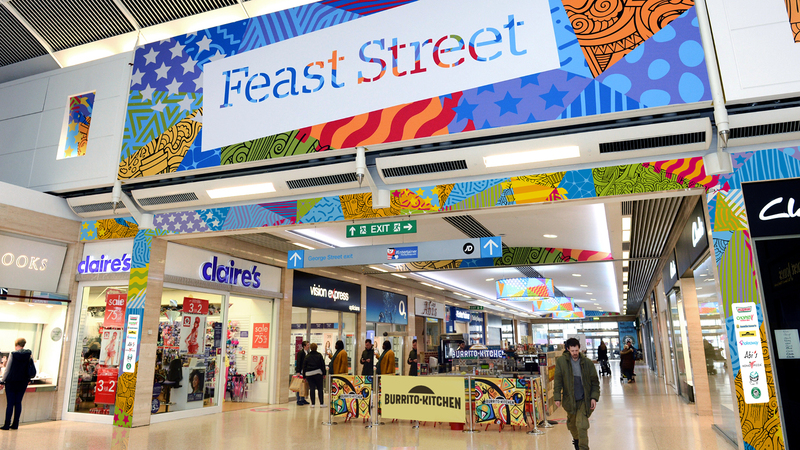 The client had a range of food and refreshment outlets which they wanted to gather together in a single area to create a food destination within the centre. 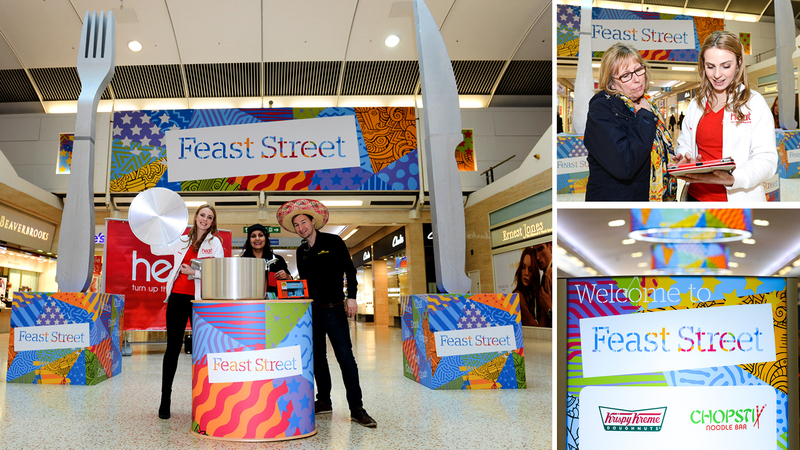 We created the name Feast Street, and a colourful, vibrant and playful scheme which differentiates Feast Street visually from the rest of the shopping centre and invites customers to spend some time sampling the variety of food and drink on offer. The identity is based on a range of intersecting and interconnecting patterns representing the nature and diversity of the offer. 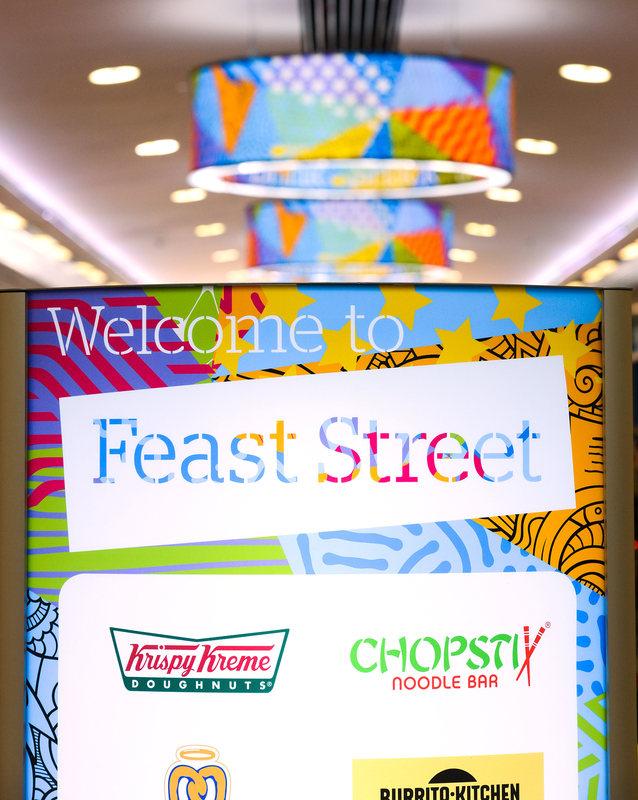 We were keen to appeal to the predominantly young, ethnically diverse demographic so we took inspiration from street art around the location of the centre as well as from the wider fast food aesthetic. We created a customised logotype based on Stag Stencil font (from type foundry Schwartzco) which we cut from a mis-aligned panel to form the logo. 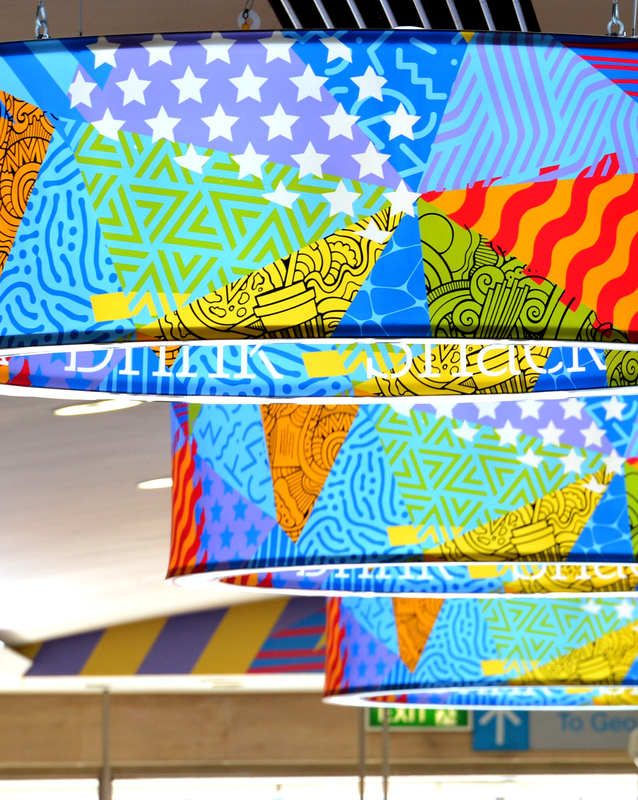 We worked closely with graphics fabricators and installers MXDisplay to create an immersive environment and a suite of signage and applied graphic treatments. 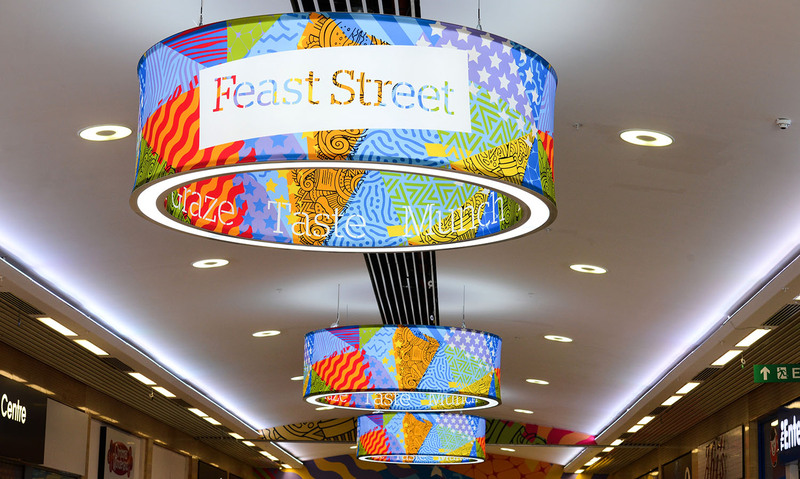 These included a supersized sign at the entrance to Feast Street from the main shopping area, and three custom made, internally illuminated suspended rings, along with some more traditional features, such as light boxes and wall vinyls. The suspended rings were a particularly impactful feature…and particularly challenging to produce. Each ring was illuminated internally by LED sheets, and also functioned as both uplighter and downlighter for maximum impact.